Home - Grafica - Ubuntu 11.04 Natty Narwhal - Ubuntu Releases - Widgets (Countdown) di ogni tipo per annunciare l'arrivo di Ubuntu 11.04 Natty Narwhal. Widgets (Countdown) di ogni tipo per annunciare l'arrivo di Ubuntu 11.04 Natty Narwhal. Come è noto la Comunity di Ubuntu ha rilasciato qualche giorno fa i 3 banner (countdown) "ufficiali" per annunciare l'arrivo della prossima versione di Ubuntu 11.04 "Natty Narwhal". Man mano che si avvicina la data del rilascio definitivo questo post pretende soltanto essere un promemoria per tutti quelli che ancora non sono riusciti a trovarli in rete. 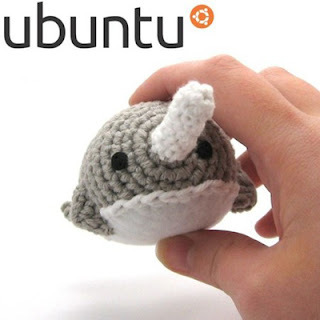 Kate Stewart has announced the availability of the first alpha release of Ubuntu 11.04, code name "Natty Narwhal": "Natty Narwhal is doing a first bit of spy hopping, also known as alpha 1, which will in time become Ubuntu 11.04." New features include Unity as the default user interface: "Unity is now the default in the Ubuntu desktop session. The Unity Launcher is now available; it can be used to launch applications that are pinned to the launcher and switch between running applications. It supports quick lists on context menu. It can be set to auto-hide. Places is not yet available in alpha 1. Clicking the Ubuntu logo in the upper left of the screen will open the applications directory." Read the release announcement and release notes for further details. Download (SHA256): natty-desktop-i386.iso (717MB, torrent), natty-desktop-amd64.iso (723MB, torrent). Also available are the first 11.04 alpha builds for Kubuntu (download, announcement), Xubuntu (download), Edubuntu (download, release notes) and Ubuntu Studio (download). 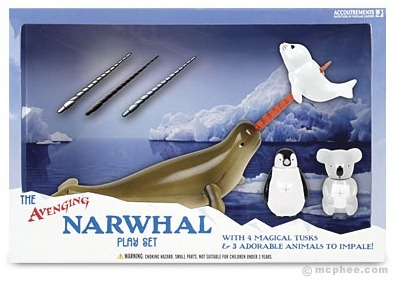 Kate Stewart has announced the availability of the second alpha release of Ubuntu 11.04, code name "Natty Narwhal". Among the new features in this release one will find the brand-new Linux kernel 2.6.38, X.Org 1.10 and LibreOffice 3.3: "Alpha 2 includes the 2.6.38-rc2 kernel which is based on the latest mainline release candidate kernel at kernel milestone freeze kernel. This kernel update includes the official inclusion of the '200-line patch' which improves responsiveness for some workloads. It also brings a major update to the VFS, RCU dentry handling, which is slated to improve file system performance particularly with parallel loads. There are a bunch of updates for graphics which should extend support to new cards and extend 3D to more cards too." Read the release announcement and release notes for further details. Download (SHA256): natty-desktop-i386.iso (689MB, torrent), natty-desktop-amd64.iso (692MB, torrent). Alpha 2 CD/DVD images for Kubuntu (download, release notes), Xubuntu (download), Ubuntu Studio (download), Edubuntu (download, release announcement) and Mythbuntu (download) are also available. 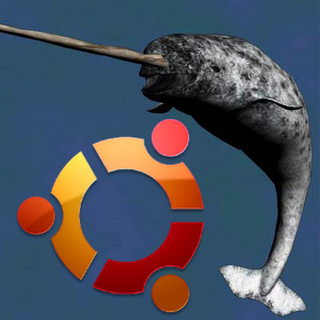 Kate Stewart has announced that the third alpha release of Ubuntu 11.04 and its family of products is now available for download and testing: "Welcome to Natty Narwhal alpha 3, which will in time become Ubuntu 11.04. Alpha 3 is the third in a series of milestone CD images that will be released throughout the Natty development cycle. New packages showing up in this release include: LibreOffice 3.3.1, Unity 3.6.0, Linux Kernel 2.6.38-rc6, Upstart 0.9, dpkg 1.16.0-pre + multi-arch snapshot. The alpha images are known to be reasonably free of show-stopper CD build or installer bugs, while representing a very recent snapshot of Natty." See the release announcement and release notes for a detailed list of changes and new features. Download (SHA256): natty-desktop-i386.iso (661MB, torrent), natty-desktop-amd64.iso (681MB, torrent). Alpha 3 CD/DVD images for Kubuntu (download, release notes), Xubuntu (download), Ubuntu Studio (download), Edubuntu (download, release announcement) and Mythbuntu (download) are also available. Kate Stewart has announced the availability of the first beta release of Ubuntu 11.04, code name "Natty Narwhal": "The Ubuntu team is pleased to announce the release of Ubuntu 11.04 beta." Some of the main features of the release include the new Unity desktop, Firefox 4.0, and the latest LibreOffice: "Unity is now the default Ubuntu desktop session. The Unity launcher has many new features, including drag and drop re-ordering of launcher icons, full keyboard navigation support, launcher activation through keyboard shortcuts, right-click context menu quick-list and switching between running applications. Ubuntu 11.04 comes with the latest Firefox 4.0 as standard web browser." Read the release announcement and release notes for further details. Kate Stewart has announced the availability of the second and final beta release of UbuntuThe Ubuntu team is pleased to announce the release of Ubuntu 11.04 beta 2." 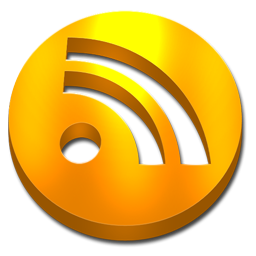 Some of the features of this release include: "The Ubuntu One control panel now allows selective syncing, and the launcher icon now displays sync progress; the Ubuntu Software Center now allows users to 'rate & review' installed applications; Firefox 4.0 as standard web browser; LibreOffice 3.3.2 as the default office package; Banshee 2.0 is the standard music player now and has been integrated into the sound menu; a Linux kernel based on 2.6.38; X.org 1.10.0 and Mesa 7.10.1...." See the release announcement and release notes for detailed information about the product. Download (SHA256): ubuntu-11.04-beta2-desktop-i386.iso (697MB, torrent), ubuntu-11.04-beta2-desktop-amd64.iso (689MB, torrent). Beta 1 CD/DVD images for Kubuntudownload, release notes), Xubuntu (download, announcement), Ubuntu Studiodownload), Edubuntudownload, announcement) and Mythbuntu (download) are also available. Link al sito dell'autore dove potete trovare anche i banner già pronti per la versione successiva di Ubuntu: 11.10 Oneiric Ocelot.